It seems like all the apps we use on our computers are migrating to the cloud these days. 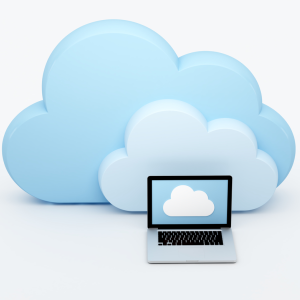 Email, chatting, editing documents and pictures – increasingly, we’re using cloud-based solutions for almost everything.. There are even cloud-based antivirus solutions that run in your browser. 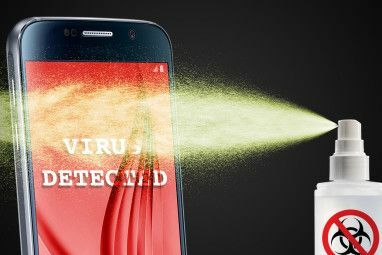 Online antiviruses can be useful, but they’re no replacement for an installed antivirus program – antivirus is one area browser-based apps just don’t cut it. Nevertheless, cloud-based antivirus applications offer a number of benefits and can be very useful for quickly scanning a PC for malware. Just don’t make them your only form of protection! When you use a cloud-based antivirus The 7 Most Reliable Sites for Free Online Virus Scan and Removal The 7 Most Reliable Sites for Free Online Virus Scan and Removal Need to check for a computer virus but don't have antivirus software installed? Try these excellent online virus scanning tools. Read More , you navigate to the antivirus’s web page – for example, ESET Online Scanner or Bitdefender QuickScan – and click the Scan button on the webpage. The antivirus will download to your computer and run. In some cases, the scanner may use ActiveX (for Internet Explorer) or Java to run in your browser after a confirmation message. In other cases, such as with the ESET Online Scanner, you may be prompted to download an application and run it on your computer. Bitdefender QuickScan installs a browser extension. After you launch the cloud-based antivirus, it will scan your system for potential threats and alert you to them. Depending on the cloud-based antivirus, it may not remove viruses it finds, or it may only perform a quick scan for viruses and other malware, not an in-depth one. Browser-based antivirus programs have actually been around for a long time – you might remember Trend Micro’s HouseCall, which used ActiveX and only supported Internet Explorer 7 Useful Tips & Tricks For Internet Explorer 9 Users 7 Useful Tips & Tricks For Internet Explorer 9 Users Tech websites write a lot about Google Chrome and Mozilla Firefox, so it’s easy to feel a bit left out if you use Internet Explorer. Internet Explorer 9 is easily the best version of Internet... Read More . All online antiviruses have one significant limitation – they can’t run in the background. The importance of background scanning cannot be overstated, and is the reason why antiviruses like ClamWin ClamWin, An Open-Source Anti-Virus Solution For Your PC [Windows] ClamWin, An Open-Source Anti-Virus Solution For Your PC [Windows] New online threats emerge every day, attacking corporations and consumers alike. 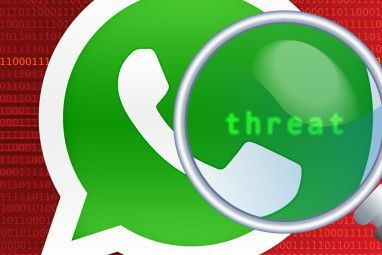 These potentials threats aren’t disguised just as links or emails anymore. They could be coming for your personal information in all sorts of ways.... Read More just don’t cut it. An antivirus that runs in the background scans every program before it runs. While no antivirus is 100% successful, this on-access scanning should ideally prevent viruses from running in the first place. If you’re using a cloud antivirus instead of an antivirus installed on your system, the malware What Is The Difference Between A Worm, A Trojan & A Virus? [MakeUseOf Explains] What Is The Difference Between A Worm, A Trojan & A Virus? [MakeUseOf Explains] Some people call any type of malicious software a "computer virus," but that isn't accurate. Viruses, worms, and trojans are different types of malicious software with different behaviors. In particular, they spread themselves in very... Read More will execute and run on your system. In the time between when the malware starts running and when you scan with your online antivirus, the malware can sit in the background, steal your credit card numbers and other important data from you, and send it to unscrupulous people over the Internet. It can also download new pieces of malware from the Internet, cramming your memory full of malicious software. Once a virus is installed, it’s also harder to remove and can potentially disguise itself from antivirus applications. Some people think they don’t need antiviruses because they’re careful online – the truth is that, while being careful online What Can I Do To Protect My PC Without Anti-Virus Software? What Can I Do To Protect My PC Without Anti-Virus Software? For plenty of users, getting and using anti-virus software can be a hassle for lots of different reasons. Not only can they be expensive, but they can be slow, difficult to control, and a major... Read More does help a lot, antivirus applications are an important layer of security. You could be compromised by loading a webpage in a fully-patched browser with fully-patched plugins Why Do Apps Nag Me to Update & Should I Listen? [Windows] Why Do Apps Nag Me to Update & Should I Listen? [Windows] Software update notifications seem like a constant companion on every computer. Every app wants to update regularly, and they nag us with notifications until we give in and update. These notifications can be inconvenient, especially... Read More if your browser or the Flash plugin has a zero-day vulnerability that isn’t patched yet. In other words, you can become infected through no fault of your own. You shouldn’t let this stop you from exploring the web, as it is very rare, but this shows that antivirus applications play an important role, even for the most careful of web users. Some online antiviruses don’t even perform the functions you might expect from an antivirus. For example, ESET Online Scanner can scan your entire system for malware and quarantine it. However, Bitdefender QuickScan just scans your system’s startup files and memory for viruses – it doesn’t look for dormant viruses hiding elsewhere on your system. If Bitdefender QuickScan finds a virus, it won’t remove it for you – it will recommend you download a full Bitdefender product to remove the virus. They can quickly scan a computer: With an cloud antivirus, you can quickly scan a computer for viruses, even if the computer doesn’t have an antivirus on it (or if it has a woefully out-of-date antivirus). There’s no long installation process to go through – just a quick scan in a few minutes. They’re always up-to-date: Online antivirus programs are always up-to-date. When you perform a scan with one, you don’t have to worry about downloading the latest virus definitions – the cloud-based antivirus comes with them. 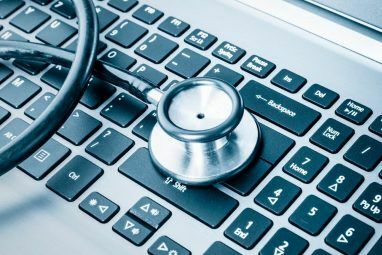 They’ll give you a second opinion: If you already have an antivirus program running on your computer, you can perform a quick scan with an online antivirus program to get a second opinion and double-check your system. While you shouldn’t install multiple antivirus programs on your system because they’ll interfere with each other, an online antivirus tool that performs a quick scan of your system without running in the background shouldn’t cause any problems. There’s good news: You don’t have to spend any money to have a high-quality antivirus running on your system. There are quite a few great antivirus applications you can download for free. Popular ones include Microsoft Security Essentials, avast!, and AVG. Check out a full list of the free antivirus software we recommend on our best Windows software page. Explore more about: Anti-Malware, Antivirus, Cloud Computing, Scanner. I have never thought of the idea of cloud based antivirus... That's a really cool idea! I am surprised that Panda Cloud Antivirus wasn't discussed at all. Panda is as popular as desktop antivirus'. And I think when it comes to cloud antivirus, Panda is leading the pack. Fair enough, there are lots of options -- why is Panda the best in your view? The first major advantage is that Panda is very lightweight. I haven't seen Panda slowing down the system like others. The second, of course, is that it is a cloud antivirus and enjoys the benefits explained in your post. I trust Panda whenever it comes to detection of viruses and along with Malwarebytes and Comodo firewall, I think you have got a safe system. Security goes further than watching out for viruses, even though you should do that as well. That's a very interesting story that's happened this week; I've been reading about it. i use avast...what do u think about it??? Avast is pretty good, but I'm a Microsoft Security Essentials user myself. Many false alarms, but it can cure lots of really heavy viruses. Personally, I would prefer MSE, as it has simple interface, better curing capacities and has integration with IE9. ESET is great scanner, thanks! How about Kingsoft Antivirus or Panda Cloud Antivirus? Panda Cloud I used in the past as well. I think it does a good job in scanning for basic infections, and is always up to date, where an online connection is reachable. If it isn't online there is less likely a chance for infection anyway. I'm Logan from Kingsoft Security, You can take a try of Kingsoft Antivirus 2012. We are applying AVC this month and would submit it to makeuseof to review after passing AVC test. Been using Kingsoft Antivirus 2012 alongside MSE 4, without encountering any performance issues whatsoever. Interesting security software! Thanks, Logan and Kingsoft Security. A lot of fake antivirus apps ("ransomware" that claims to be an antivirus) install them by "drive-by" scripts that infect legitimate websites that have been hacked. Others sources are game cracks and game keygens, bittorrent downloads, phishing attacks (emails that appear to be legitimate, like "your airline tickets are in the attached scan file" or "A delivery to your address failed. Print out the attached claim form and take it to FedEx/UPS/DHL"). There are also ways to be infected without doing ANYTHING AT ALL, if your computer is connected to the Internet. Many of Microsoft's patches are for vulnerabilities in Windows that open up the computer through its network connection that don't require anything on your part to exploit. I once managed a Windows 2000 Server installation that wound up with IRC bots (old-style chat programs) installed, user accounts appearing out of nowhere, FTP servers (sharing files with the hacker that installed the FTP program remotely), and a dozen other exploits that had to be manually removed because the manager wouldn't pay for server-class antivirus (there were, and probably still are not, *any* free antivirus that will run on a Windows Server OS except ClamWin, which does not offer real-time protection). Just saying "I don't do anything risky" is NO reason to not install a good antivirus with real-time (running in the background, scanning every file as it is read or written to) protection! Thanks a lot, Doc! Great stuff. Shady stuff like game cracks and keygens can be a problem (even for legitimate users that want no-cds to make DRM work properly on their systems, sadly). If you install a Windows XP system with no service packs and connect it directly to the Internet, it will probably become infected. That's the sort of security vulnerability that can lead to even smart people getting infected occasionally. Unpatched browsers and other software are a big problem.